Need A Summer Day Care? 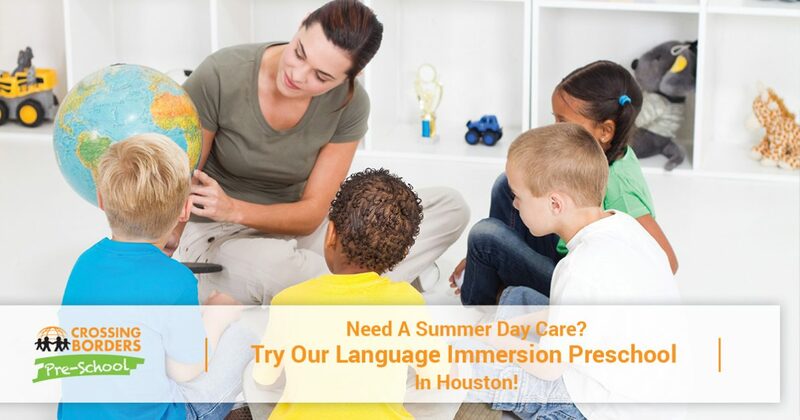 Try Our Language Immersion Preschool In Houston! As the summer season is nearly upon us, many parents are looking for fun and productive activities for their kids. Whether it’s out of necessity or for an enriching activity, children between the ages of four and 12 can take on a fun and challenging language summer with Crossing Borders Preschool. We proudly provide proven language immersion programs to Houston families for more than 12 years, relying on instructors who fluently speak the language. We are as excited about your child’s learning as you are. We also offer fun and engaging camps throughout the other seasons to provide well-rounded support for your child at every developmental stage. If you’ve been interested in enrolling your child in a summer camp that focuses on language immersion programs that are fun and engaging, our bilingual preschool is here and ready to help. Read more to learn about the benefits of our summer camp programs, then be sure to call us for more information! We believe in providing a wide range of activities for children that includes interaction with peers of different ages. Our groups are divided to allow staff to provide better structure for each stage, as kids preparing for high school will be at a much different level than most children entering kindergarten. Combining peers of a similar age group will also show your child that everyone learns at different speeds, and what’s important is for everyone to work together for the best outcome. Through teamwork and social interactions with like-aged children, your student will be able to learn the intricacies of a new language. We promote our summer care programs as Spanish immersion camps, but Crossing Borders Preschool also provides other English programs to help children of all ages. Our instructors understand the common pitfalls and confusions associated with our commonly spoken language, and will work with students to become more confident in changing social dynamics. Our immersion preschool focuses on these two languages, but a few opportunities are available for children interested in learning French or Mandarin. 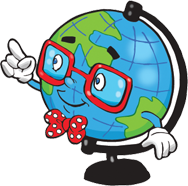 The staff at Crossing Borders are fluent in their perspective languages, delivering the same high level of immersion instruction no matter the language taught. Be sure to contact us to learn more about our other language programs! Learning a new skill is challenging, making it essential to be consistent in practice to keep fluency. If your child is in the midst of learning a second language, our summer camp may prove to be the perfect opportunity for your kiddo to continue excelling through the summertime. Our bilingual instructors will provide structure and guidance for children in a variety of fun and engaging activities, providing a memorable experience in addition to a valuable life skill. We strive to deliver the best experience for every child at our day care center, providing fun for all ages that promotes social interactions with new friends while also adding the benefit of an immersion program. After years of success in teaching language learning skills to children in need, Crossing Borders Preschool is proud to extend our services through fun summer camp activities. Our program relies on personalized instruction to help students in small group dynamics create a productive experience that builds social bonds in the process. As summertime gets closer, parents are often on the lookout for fun and education summer camps that provide a truly beneficial experience for their child. 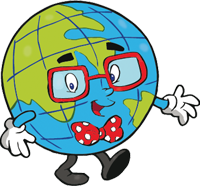 Crossing Borders Preschool is here to do just that, delivering quality in every activity we provide to enhance multilinguality to connect students across the world. Be sure to contact us soon, as space is limited!